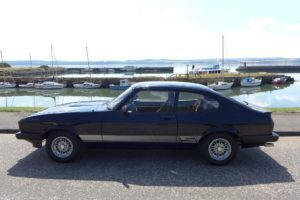 Lifelong Classic Car and Ford Capri enthusiast Russell Macfarlane from Fife, Scotland recently contacted us about his beloved 1980 Ford Capri 2.0S. Nicknamed ‘Carla’. 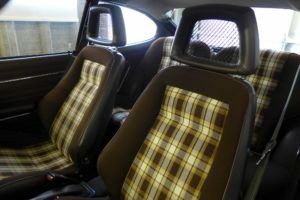 This stunning classic Capri in Black with Chocolate Brown Fishnet Recaro Interior was originally supplied brand new by Currie Motors. Only 59,000 miles on the clock and it still has the original Currie Motors sticker gleaming in the rear windscreen. 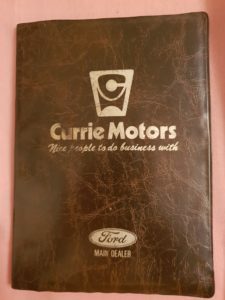 Russell has in his possession the original owner’s wallet with service book and Currie Motors pin badge, which he wears to classic car shows around the UK. 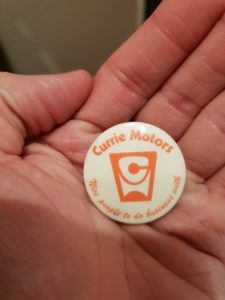 There was only one thing Russell was missing; a Currie Motors keyring, which we were more than happy to supply. 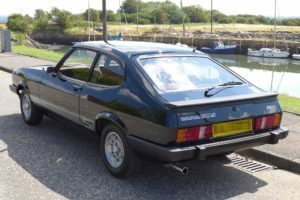 Russell had been on a 5 year long journ ey to find Carla and explains “she was put away in a garage in London many many years ago and enjoyed a long hibernation.” All Carla’s panels, interior, mechanicals and glass remain to be the original parts supplied by Currie Motors in 1980, with the only change being a respray to refresh the paintwork that had worn over the years. 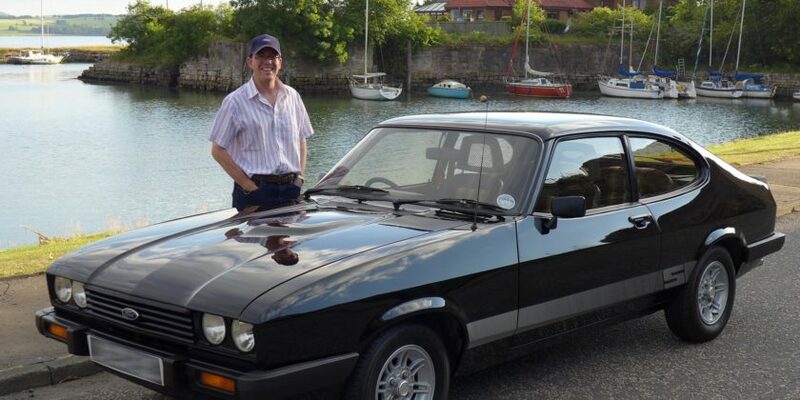 Carla is a great blast from the past from Currie Motors and we are happy that she and Russell have found each other. We hope them both many years of happy motoring.